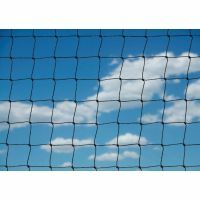 Whether you need to protect your fruit or vegetable crops from being eaten or destroyed, or prevent birds from roosting on buildings and becoming a pest, we make and supply a wide range of netting products to suit any situation. 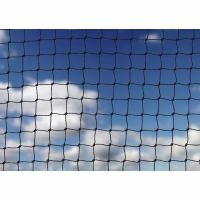 Our bird netting is designed to weather the great British climate and stand the test of time. 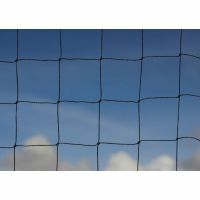 We use heavy-duty, UV stabilised polyethylene to make the nets, a material that won’t deteriorate in sunlight and retains its shape for many years. 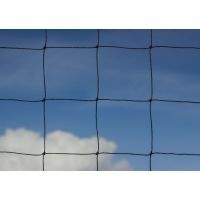 We source all our materials in the UK and construct the netting in Helston, Cornwall to order. Simply tell us the dimensions and we will deliver it flat-packed to your home or business. It’s quick and easy to order online. Or, for more information, please call us on 01326 221 514. If you require fixings, please click here. Regarded by many as one of the most aggressive birds in the UK, seagulls are found mainly in coastal cities and towns. They have been known to attack people as they scavenge for food, and cause huge problems with the smell, noise and mess they make on the roofs of buildings. Pigeons can prove to be a major cause of building damage in towns and cities throughout the UK. In terms of horticulture, they are scavengers capable of devouring crops and seedlings. 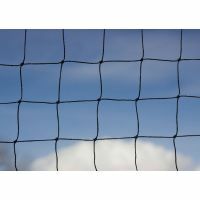 Our netting is specially designed to offer the most humane protection. Whether to keep birds in or out, we provide heavy-duty pheasant netting by the acre to gamekeepers and breeders across the UK. Smaller than blackbirds, starlings are one of Britain’s most common garden birds. They roost in great numbers, mainly in plantations and city centres. They live off insects and fruits – so can prove quite the pest to avid gardeners. Sparrows are one of the UK’s smallest birds. They roost in building cavities and create untidy nests of loose grass and rubbish. To deter sparrows from setting up home, or from feeding on fruit and vegetable crops, you need a small mesh netting.